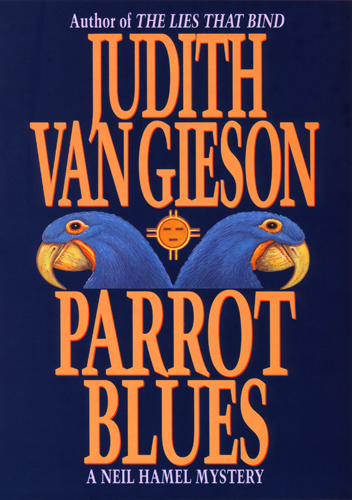 Cover of the 1995 HarperCollins hardcover first edition of Parrot Blues by Judith Van Gieson. Design and illustration by Peter Thorpe. The HarperCollins hardcover first edition of Parrot Blues by Judith Van Gieson was released in 1995. Design Director: Joseph Montebello. Design and illustration: Peter Thorpe.